Ilo and Milo are two best friends who meet every day at the park for tea. One day, however, they find that either the park has been rearranged or that their memories have become jumbled. They're not sure which it is, but what they are sure of is that they need to find each other. Thus goes the sentimental, twee, mawkish story of the sentimental, twee, mawkish Ilomilo. This is a game that's so sweet you'll get diabetes from the menu screen, and so intensely adorable that you'll vomit a rainbow onto the controller and cry tears of pink, sugary blood. You know what? I'm fine with that. 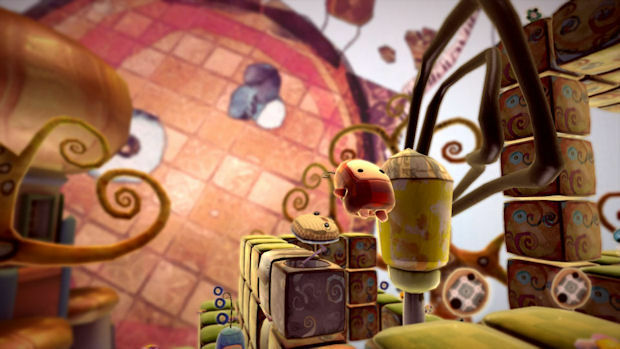 Ilomilo is a puzzle game in which you must bring two patchwork dumplings together over a variety of complex arenas. The stages play out over maps of segmented blocks, with Ilo and Milo starting in different areas. Your goal is to switch between both characters, taking control of them to move blocks, press switches, and ultimately reunite. 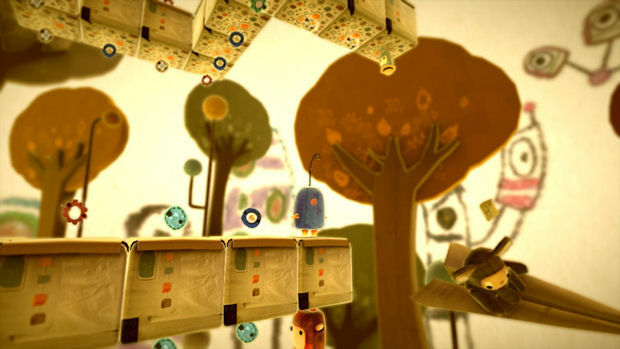 The game starts off pretty simply, but Ilomilo consistently introduces new concepts, such as red carpets, which allow the pair to switch sides of a cube and defy gravity. Various types of blocks with different properties, eccentric creatures that come in varying degrees of helpfulness, and a plethora of collectibles keep things interesting and slowly ramp up the challenge. Ilomilo is, undoubtedly, a clever little game. While it doesn't provide the toughest puzzles in the world, the design is nearly flawless. 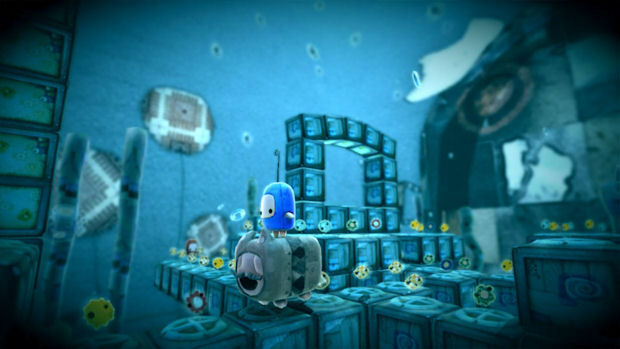 The game doesn't rely on hiding things from the player, presenting as it does everything one needs to solve a map and forcing the player to pay attention rather than scrabble around looking for obscured items. The way in which Ilo and Milo work together reminds me of the classic Spectrum game Head Over Heels, albeit in a simpler way. It's one of those games that makes you nod in appreciation over how well the developers thought each challenge through. That said, the game does fall into repetition a little too quickly, and many players won't quite feel stimulated enough by the gameplay on offer. The slow pace can feel downright cumbersome at times, and even the quirky visuals lose a little of their charm over extended periods of time. There are a small number of puzzles that, if you're attempting to 100% the map, will need restarting should you pick up certain things before performing certain tasks, and while those instances aren't common, they are nonetheless irritating. The game's controls aren't exactly tight, either. The camera and your thumbs are constantly at odds with each other, especially when attempting to turn Ilo or Milo around corners without accidentally making them turn backwards. If you're attempting to beat the leaderboards by stepping on as few blocks as possible to beat a map, this will prove incredibly frustrating. However, while these issues are very real, the overall experience of Ilomilo is one that comes highly recommended. 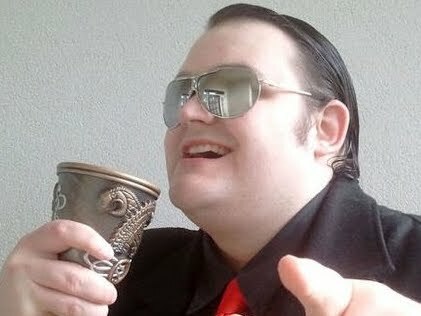 There's plenty of content, both mandatory and optional, to get through, not to mention a number of cool easter eggs for those who can find them. 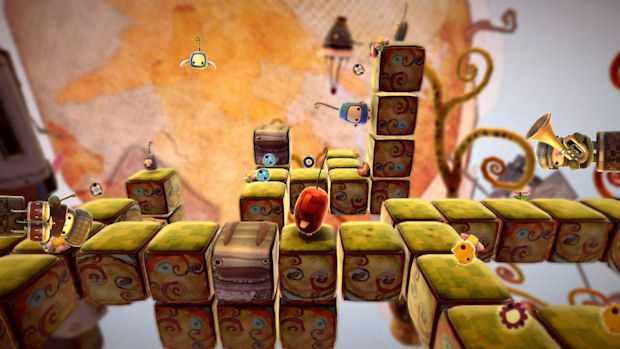 Each level contains three little creatures called Safkas who, when rescued, eventually pave the way to optional challenge levels that provide much greater challenges. You can also collect music tracks and gallery pictures, as well as "fragments" which fill a special meter. When the meter fills, you unlock a memory piece, which slowly drip feeds you the title's mysterious backstory. The game doesn't support online play, which is sad, but local co-op is features for those who want to play with a friend. In multiplayer, characters are still controlled one at a time, but the inactive player can use "pointers" to help their partner. Why this wasn't able to go online is anybody's guess. All of this gameplay is wrapped up in what is arguably Ilomilo's strongest element -- its unwavering cuteness. With gorgeous visuals and lovely soundtrack, this game is practically unrivaled by other XBLA games in the presentation department. 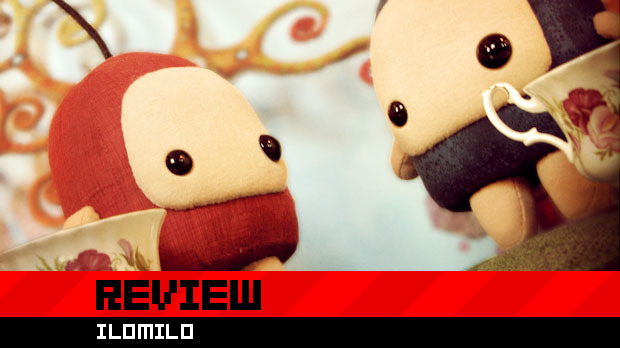 The characters of Ilo and Milo are beautifully designed, evoking sympathy and smiles despite their simplicity. The whole game, from the silly loading screen messages to the pompous, bug-riding, hint-giving Sebastian, is designed to make you grin, and that is something Ilomilo succeeds in at every step. While prone to feeling slow at times, Ilomilo is an undeniably well crafted title. Most of its puzzles feel perfectly tuned, and despite the occasionally flabbergasted controls, the amount of polish on display is something to be applauded. Considering the game is usual a visual and aural delight, this is a game that deserves your attention. It's got its flaws, but it's also got so many strengths that you'll be able to forgive them. Unless you have a heart forged from coldest granite.